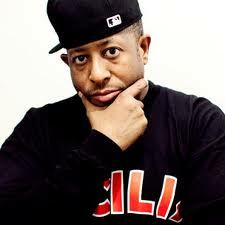 DJ Premier – Saving Hip Hop One Beat at a Time! How does one even begin to pen an interview on a hip hop legend like DJ Premier? Well it takes a lot of passion, understanding of Hip Hop and its pioneers and a lot of faith and belief that when you get that opportunity of a lifetime to talk to one of the greatest DJ / producers of our hip hop generation, you pinch yourself and get on your game. Christopher Edward Martin aka DJ Premier is without a doubt a pioneer in Hip Hop and continues to spearhead the movement of what many will call the purity of Hip Hop! 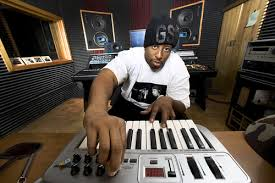 Born in Prairie View, Texas but calling Brooklyn New York home for most of his professional career, DJ Premier is not only the instrumental half of glorified East Coast Hip Hop duo Gangstarr, but has also lent his beat creation to a legion of artists in the industry all clamoring for Primo’s midas touch! With nearly 30 years in the game, having a conversation with this man proved to not only be insightful and thought provoking but also a lesson in humility as he opened up about life after Guru and how he continues to bring out the best in Hip Hop! He has produced countless hip hop heavyweights such as: Big L, Canibus, Fat Joe, Game, Jay Z, Kanye West , Mos Def and Rakim to name a few and has been referred to as ‘arguably Hip-Hop’s greatest producer of all time” by Rolling Stone Magazine and made the ‘Finals” in the search for The Greatest Hip-Hop Producer of All Time by Vibe. All titles and praising aside, Premier is just that, Premier! He does what he does because he can and without hype. Read on to discover more about this industry’s most illustive and respected producers who is not about changing the game, but changing its attitude! You’ve been to Australia a few times with Gangstarr some 8 years ago and then again on the Buggin Out Tour a few years back – when can we expect you back in Australia for some more shows? Yeah I loved playing in Australia. Those tours were great fun and I enjoyed playing for the Aussie crowds. I love how hip hop is embraced down there and I would love to come out again. Whenever ya’ll want me to come play for you again just holla. You helped shape me into the DJ I am today – listening to your beats and style constantly amazes me and I am sure countless others – SO – how would you do describe the beats that you create and how do you keep them so unique and different from each other? Man, I’m just blessed to have the ability to create music you know, I got God to thank a lot for that gift. I don’t really have any way of describing my style or sound to be honest. You know some people describe what I create as combinations of short vocal samples fused to create a chorus. However you break it down, I can’t really describe the sound only in that good music is just good music and that’s all it is really! Gangstarr was and still is one of the purist groups to have emerged in the hip hop community with songs and messages that will never date! Can I ask what yourself and dear Guru bless his soul, had in mind at the beginning of Gangstarrs rise – how to create a sound and message so positive and real? I hear everything in my head before I lay it down and actually find that beat I need to construct it. Guru always gave me the titles to the songs and the albums before they were even written and I would just build the beat around that title. It was something quite organic in that process and it just worked best that way for us you know. He was the real genius behind it and all I would do was just give him the sound vibe he was looking for. 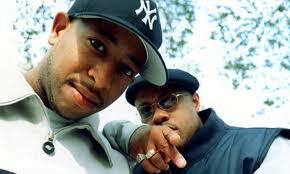 Primo can I ask how you dealt with the passing of Guru, both on a personal and professional level? brain in order to keep it active so people needed to talk to him; he needed to hear sounds and music to keep that brain alive and survive the coma. But that didn’t happen due to all the health care proxy’s that didn’t allow us to go in and see him and by the time that I did get in to see him he was pretty much brain dead. I did get to have my own talk with him and spend some precious time with him before he eventually passed and then was able to be a part of his funeral where his parents wanted me to part of the program. I spoke, Big Shug spoke and we spoke from our hearts and made sure all the people were laughing and remembering Guru the way he would have wanted them to. It was all real, the original Gangstarr Foundation members were there to show respect and we all just hung out, Jeru The Damaja and me catching up after years. It was a great dedication to Guru and had the people that meant the most to him there. The hard thing was seeing his moms as she suffers with severe case of Alzheimer’s and doesn’t even know he has passed on so that was hard but I was blessed to be around his family at that time and still keep in touch with them all now, keeping his memory alive. His family and I have decided to start a foundation called Gangstarr Enterprises which will be a website dedicated to Gangstarr, the journey we’ve been on and the music. Fans can purchase merchandise like t-shirts, pencils, umbrellas and music on there and it will be run by Guru’s family, his son, Justin will be heavily involved in this site as he saw only too well what his dad went through in his final days and I stand behind him on everything. As soon as the site is up and running I will make an announcement! As a producer Primo you have really worked with some amazing artists in this game? Can I ask if you have any particular favorites that you enjoy working with more than others? What does Premier listen to when you are trying to wind down or chill out? I listen to the really old cuts like Parliament, Ohio Players, anything James Brown or old Rick James records. Then I’m into my laid back grooves like Sade, Aretha Franklin, Al Green, Barry White. I also listen to my new-wave music like Billy Idol, The Smiths, Devo – I’m into that kind of stuff as well. You have influenced and inspired so many Premo – who would you say are your biggest influences musically and professionally and why? My influences professionally range from Michael Jackson and the Jackson 5 to Quincy Jones, James Brown always, Prince in a major way, even Curtis Mayfield. I’m really heavy into Rock and I’m into ACDC, heavily into ACDC…. and yes I know they are Aussies (laughs). What are your thoughts on the state of hip hop today? It’s changed a lot in a respect aspect you know, I never really thought the younger generation would be so separated from our generation but it’s all good because everybody has their beginning and an ending. We’ve had ours, just like they’ve had theirs, the only difference is we know and understand how to maintain longevity in this game, where some of the newer generation will last, some wont but at the end of the day I’m in it for the long haul and I aint going anywhere! There doesn’t seem to be any investment in the future of most of the younger generations destiny in hip hop, it’s all about just making money but not leaving a legacy but that’s okay because that’s where we come in to keep the legacy of hip hop alive – I got a big job on my hands and I’m always ready to work! Outside of production work Primo, you are hosting a 2 hour show Live from HeadQuarterz Sirius Radio Hip Hop Nation – how do you enjoy doing radio from djing / producing? How is the show going? Yes I’m still on and running and love doing it every Friday night Channel 44 on Sirius Radio. I always have good guests coming on, everyone from Prodigy of Mobb Deep, MOP you name it. We always have a good time on air, playing that real hip hop, talking that real deal you know. What would your advice be to any aspiring producers/ rappers trying to make it in this game? Just be original, have your own style you know. Don’t feel you got to follow a certain protocol or crowd to be heard. We need all the original risk takers in hip hop to step their game up and take that chance to be heard. Come with something fly and don’t worry about race, creed or color as that’s not what hip hop is about. Come correct and you going to be alright! What is your motto or mission statement in life? It would be what Bumpy Knuckles said on our new album Kolexxxion “I’ll never put my focus away”! That’s my mentality right now and even when I’m at the gym I put that record on to keep my focus straight – it just makes me go harder, sweat harder and I just feel good when I’m done I feel better about everything. Like Bumpy’s verse says, “The higher you fly, the smaller you appear to the eye of those hate-waiting niggaz on ground up”! Nuff said!